Continue reading Call for Grant Proposals (May 2017 Round). install" hint if the filename maps to a valid module name. removed that, and then fixed up the issues it revealed. directly in the body of an SV. Continue reading Maintaining the Perl 5 Core: April 2017 report. The first full day of OSCON sessions, the expo hall, and the hallway track was fun and interesting as always. The Perl Foundation has a great booth this year, right by the O'Reilly booth. We had a great day talking to Perl programmers new and veteran about what's new in the Perl community and in their Perl projects. It's also great to see that O'Reilly still shows the love for Perl. We're looking forward to another great day. If you're at OSCON, stop by the booth. 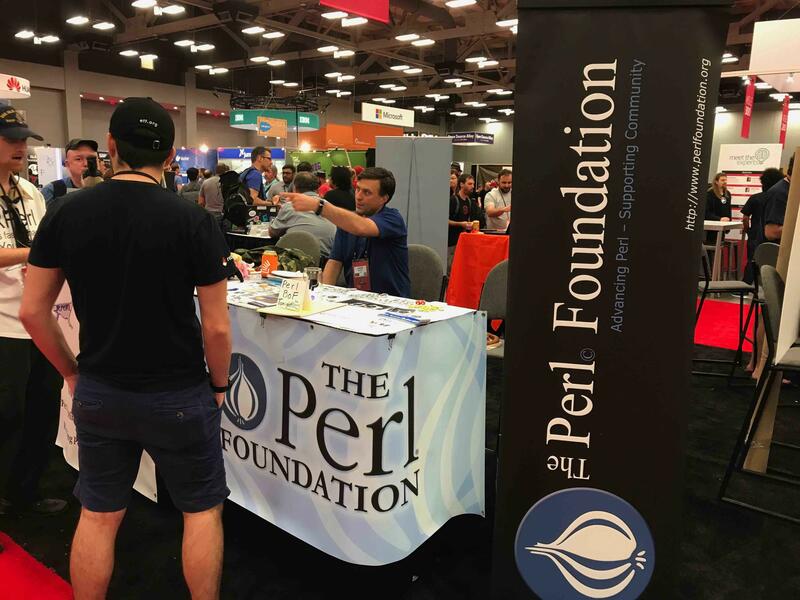 The Perl Foundation is excited to have a booth at OSCON again this year. 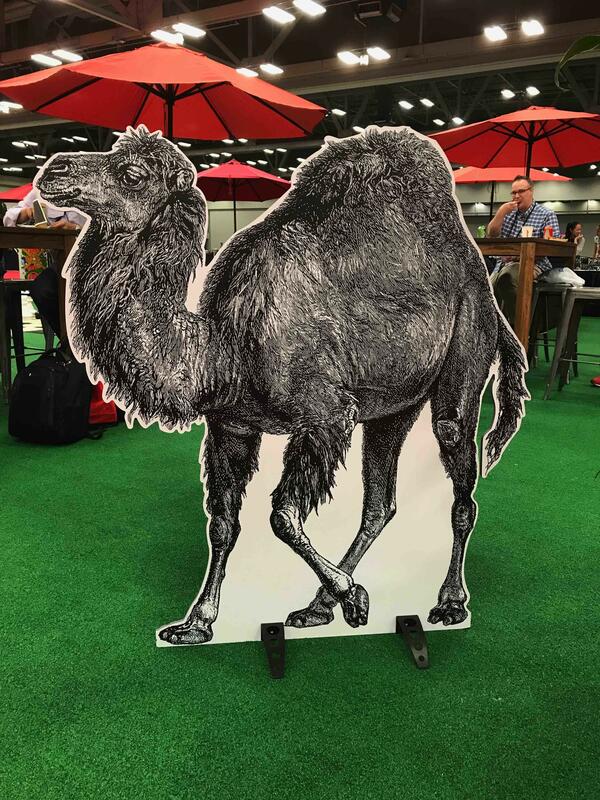 As part of our booth information and outreach we've put together a summary of some of the activities in the Perl world from 2016. The Perl 5 teams continued the steady release of new versions of Perl 5 with the release of 5.24 in 2016. This release included enhancements to regular expressions, Unicode 8.0 support, and security updates. A full list of changes for all perl versions is available in the perl history part of the perl documentation. Looking forward, the upcoming 5.26 release includes numerous speed improvements (including speedier subroutine signatures), Unicode 9.0 support, indented here-documents, and many bug fixes. In 2016 the emphasis in Perl 6 development has been on stability and performance enhancements. An example of this is a 2.5x speed improvement for a common task such as reading a CSV file with the pure Perl 6 version of Text::CSV. Also, memory usage has dropped significantly in 2016, making it easier to run Perl 6 on smaller devices. Using Perl 5 modules (e.g. from CPAN) using Inline::Perl5 has also become 2x as fast. Check out Perl 6 Weekly if you want to keep up-to-date on Perl 6 development. In addition to Perl 6 development, brian d foy held a successful Kickstarter campaign to fund writing “Learning Perl 6” in the same tradition as O’Reilly’s successful “Learning Perl”. MetaCPAN is a search engine for CPAN, the Perl module hosting system (http://metacpan.org). It has brought a huge amount of new metadata to perl modules since its launch in 2015. This year, the team completed a project to update nearly all of the components of the site and version the API. Details of the project are available in blog posts from the team. CPAN itself continues to be a reliable resource for providing access to over 180,000 Perl modules in over 35,000 distributions. You can view the status of the CPAN mirror network any time on the mirrors site and even see a map of where they are located worldwide. 2016 continued the tradition of holding Perl events worldwide. The Perl Conference (formerly YAPC) was held in Orlando in the US and Romania in Europe along with many smaller workshops and one-day events. The Perl Conference in the US this year is in Alexandria, VA, and in Amsterdam in Europe. Chad Granun has been working on his Test2 documentation grant, sharing the time with a new family member (congratulations, Chad). Although there are not big changes on the documentation, itself, Chad has been working on an update to the Event API for Test2. That is now almost complete, he will soon put it out for trial, and then stable. Once released he will be able to move back to Test2-Manual where he will document the new API, how it is compatible with the old API but richer, and how to work with both versions.